His face is definitely recognizable. His music undeniably remarkable; and his live performances are always incredible! Kenny Babyface Edmonds is a multi-faceted artist with a long string of everlasting hits. Seeing him perform these music gems live would be an absolute treat! Clear your schedule and make time for this awe-inspiring live concert at the NYCB Theatre at Westbury on Thursday 7th February 2019. RnB fans who had been doing some 'soul searching', are on a hunt for tickets to the show. Get your share of this precious moment. You don't need to look far and wide. The 'buy ticket' sign is right at your fingertips; they're just one click away! Kenny Babyface Edmonds has a multi-faceted career spanning multi-decades. From his teenage years in the 70s, he was already playing gigs on guitar and keyboards with various R&B bands around Indianapolis. It was Funk singer Bootsy Collins who christened him with the moniker 'Babyface' because of his youthful facial features. One of the many hats that he wears is that of a songwriter and producer. Think of a bunch of famous RNB -pop-soul ditties, chances are, there's a Babyface song in there. In the 80s, he is recognized as partly responsible for the emergence of the new jack swing sound. He has written and produced a whopping 26 number-one R&B hits throughout his career; collected 11 Grammy wins; and he is at number 20 on NME's list of 50 Of The Greatest Producers Ever. Aside from wearing his performer hat during his sold-out live concerts, he also did some cameo acting on TV's "Beverly Hills, 90210" and "Lopez" , and put on his dancing shoes for "Dancing With The Stars". He is also a music mogul who built the careers of TLC, Usher, Toni Braxton, Pink and more. Now he's giving his own voice into the numerous hits he has written and produced for other artists, as well as his own biggie hits like "Everytime I Close My Eyes", "Tender Love", "For The Cool In You", in this concert tour. 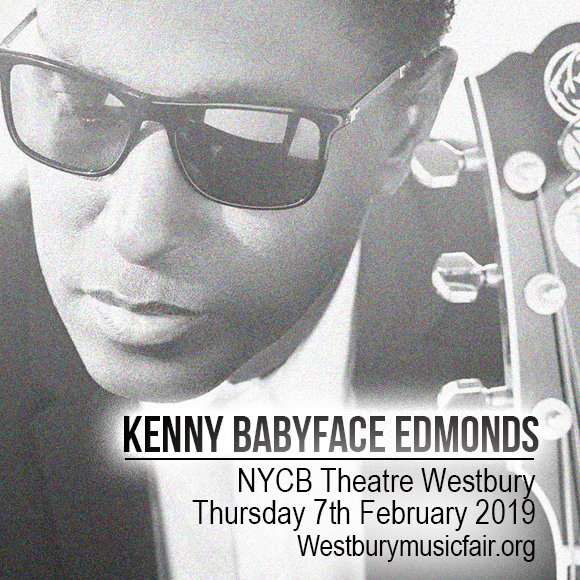 It's time to face the music, have a close encounter of a soulful kind with a consummate artist named Kenny Babyface Edmonds.